The best souvenirs on the boardwalk. 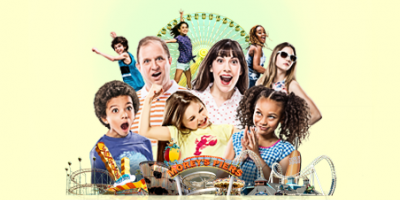 You’re bound to have fun any time you step onto Morey’s Piers. But can you bring that fun home with you? Sure you can! Head to one of these shops and you can bring a piece of the boardwalk back home. As a unique Trading Post on the boardwalk, Kong & Co. offers visitors charging stations, fresh-brewed coffee, Morey’s Piers merch and the Wild Collection. With a name like Kong & Co., you can bet they also sell chocolate covered bananas. Come to Kong & Co. for new Morey’s souvenirs all season long. This is it. The ultimate (and only) destination for Morey’s Piers official merchandise and souvenirs. This is where you get the largest, fluffiest beach towel you’ve been eyeing all weekend, Shirts, blankets, sweatshirts and more. All at The Morey’s Store.